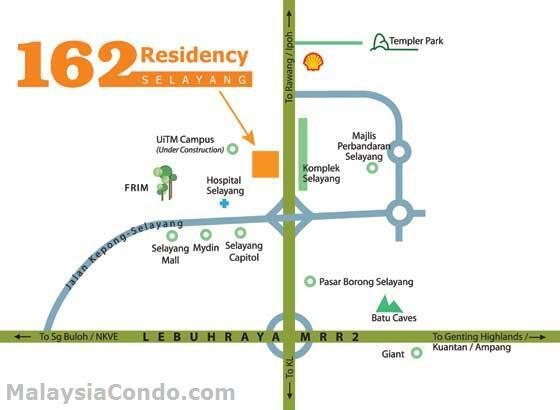 162 Residency @ Selayang, a mixed development located on 5.38 acres of prime land. The project consists of a 7-storey building flanked by two 3-storey blocks which together offer a total of 454 units of condo-style apartments and 66 units of retail shops. 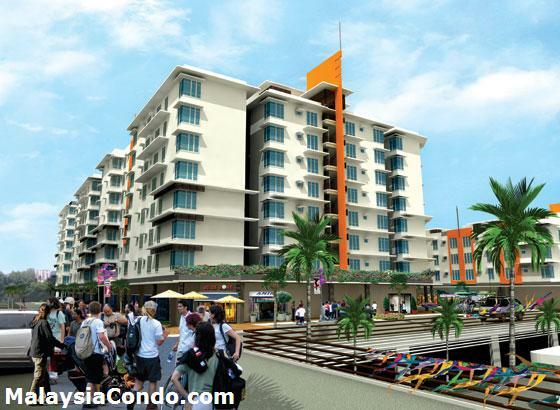 The apartment sizes ranging from 810 sq ft to 1,175 sq ft, and there are 15 layout designs. 162 Residency is conveniently sited just next to the 3-lane KL-Rawang and a mere 10-minute drive will take you to KLCC in the heart of Kuala Lumpur. Selayang an established township that has all the amenities that its residents need such as shopping complexes and hypermarkets, Selayang Hospital, UiTM Campus, colleges and schools.